The insanely talented Heike and I decided some time ago to do a styled shoot. 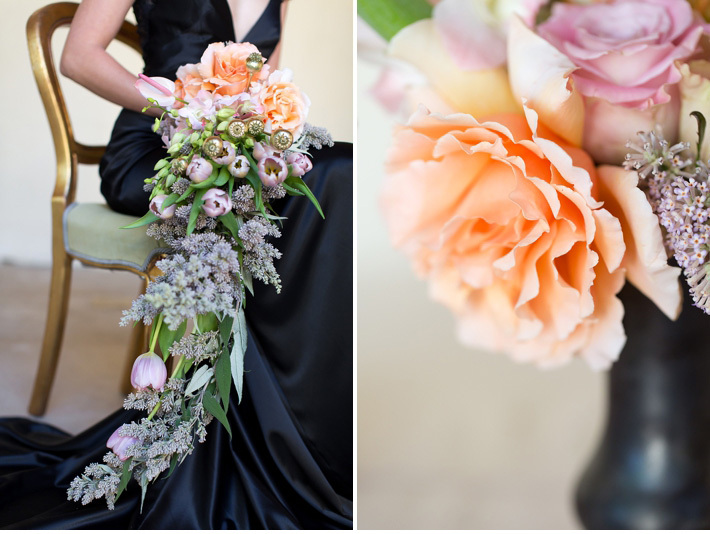 Heike had the genius idea of using black as a ‘pretty’ statement colour within the wedding theme. I hope after seeing these photos someone out there will be inspired to have a gorgeous black wedding gown! I had so much fun shooting all the gorgeousness and a big thank you to all the service providers who came on board and helped put the whole look together. We make a pretty mean team and we’ll be doing another styled shoot in the no so distant future, so watch this space! Happy Tuesday all, I do hope you enjoy this one..
Just love the gold and black! Totally Stunning! Wow – these images are fantastic and so creative.